Today I made one last (most likely anyway) trip to my home river before heading east for the summer. If all goes as planned, I'll be living in Townsend by this time next week. I was hoping for a cloudy day on the river to get the fish going but it was not meant to be. The clouds gave out on the drive down only about 5 miles from the river and it stayed bright and sunny the whole time I was there. Despite the less than ideal conditions, I still managed to catch a good number of fish. Most of the fish where caught on various midge patterns and would only eat if I got my flies right on the bottom. 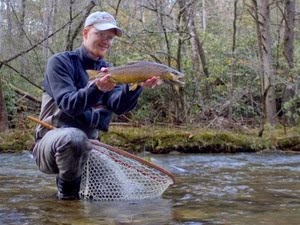 I probably won't make it to the Caney for awhile now but that will be fine because I'll be on the wild trout streams of the Smokies as often as I want to (when I'm not working). 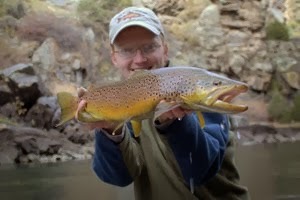 You can rest assured that I'll be hitting the evening hatch often and hopefully will still have time to post reports. Additionally, I'll probably experiment a little with smallies and make a trip or two to the South Holston, Watauga, Clinch, and/or Holston rivers. Summer is a lazy time for me immediately after school gets out and before I start at a summer job. I generally don't get up early even if it is to go fishing (tomorrow I might make an exception). Yesterday was no different and I planned to start fishing when they shut off the generators at 11:00 a.m. On the way down, I noticed a few members of the Buffalo Valley deer herd. The river was becoming crowded when I arrived since wadeable water was hard to come by. I found my own bit of river and started fishing and was soon becoming disgusted with all the little guys that couldn't stay off my flies. Apparently the spring stocking of small browns happened recently and they were all ravenously hungry. After messing with the small fish for awhile, I finally started moving around and found a few better rainbows. The section I was fishing was becoming pretty boring though and I soon decided to try something else and headed downriver to catch up with the falling water. The new location proved to be much better and I finally got to try a setup I've been wanting to use for awhile. The main difference with other deep nymph rigs I've used in the past was the strike indicator. I finally found the conditions perfect for use with a Thingamabobber, and I made the most of it. The indicator worked great and was extremely sensitive showing every little tick on the bottom not to mention the fish that seemed to be flocking to my flies. The fly combination that seemed to work best was a Copper John for weight with a small midge dropped behind. Plenty of fish liked the Copper John as well as the midge. I think this setup will become one of my favorites for the Caney Fork. As far as the fishing, things were a little slow for me. I was definitely not on top of my game on Friday but I did manage a few fish. 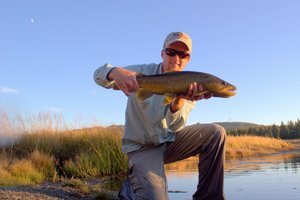 The nicest fish came to hand on a hard-bodied black ant pattern. Strangely, my troubles with losing flies continued, and its always when I snag my nymph rig on the bottom of a spot too deep to wade. My thoughts turn more and more towards the purist side of the sport on days like Friday. 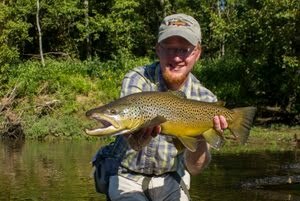 Perhaps I'll use dry flies more this summer. They are definitely more fun, but I'm always mildly annoyed trying to keep them floating after a few fish. I've finally found the time to finish looking at some DVDs that James Marsh sent me awhile back. School caught up with me and I got too busy to review them but now want to make mention of them. The two tying DVDs were inspirational in a good way and also in a slightly annoying sort of way. I say annoying because they did a spectacular job of reminding me how basic my fly selection often is and even worse, how disorganized my fly boxes tend to become. 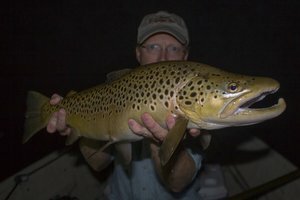 If you want to learn just a few basic patterns that you can tie in different color combinations to much virtually any mayfly in the country then you really need to check out these DVDs. 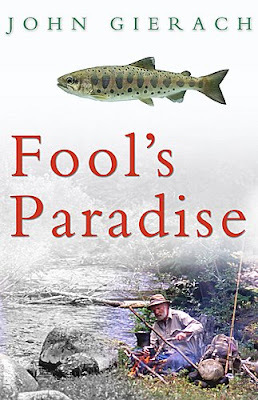 They not only show you how to tie the 14 basic patterns but also include recipes to match any mayfly hatch you may encounter streamside. The main downfall of these DVDs is the same for any tying program. The information is crucial and necessary and there is no better way to learn than by watching, but when it comes down to it, watching people tying on a video is not that exciting. However the organization that this will bring to your fly boxes and tying will be ample reward for the time spent watching. In the process, all but the best tiers will probably discover some new idea that will prove useful in their general tying as well. I watched these while I tied which I found to be just about perfect. You can pay enough attention to gain the quality information contained in them but still accomplish something else useful at the same time.